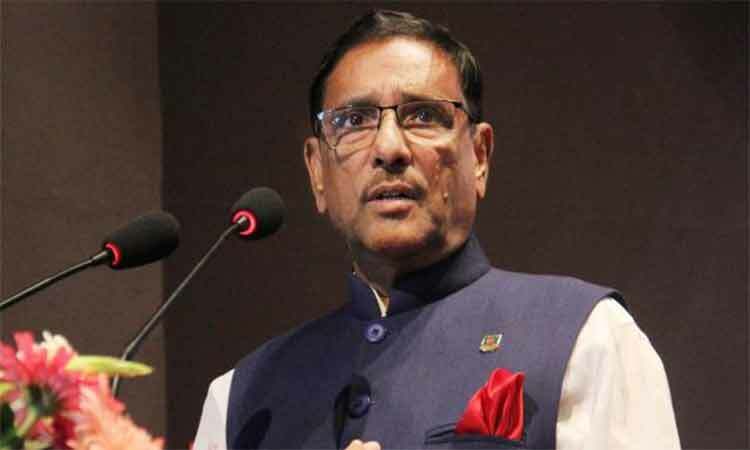 Awami League General Secretary and Road Transport and Bridges Minister Obaidul Quader said his party is hopeful of victory in today's election to Khulna City Corporation (KCC). "I hope that the Awami League backed candidate will win in the polls...BNP leaders are spreading false information about the polls," he told the journalists. Quader was visiting Kanchpur bridge in Sonargaon to see the traffic jam situation on the Dhaka-Chattogram highway Tuesday afternoon. He expressed his sorrow at the sufferings of passengers due to the huge traffic jam on the highway. The minister said a lane in Mahipal area will be opened today and two lanes will be opened at Feni before Eid to ease traffic jam.